perfect-chemistry/beauty and fashion blogger/london: Just a little Haul. Just thought that I'd show you some of my recent buys that I love. 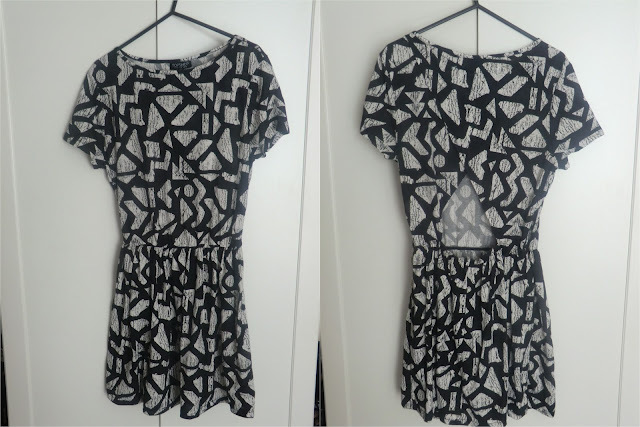 Black and Grey Aztec Print T-Shirt Dress - Topshop. So that's my little bit of a shop from recently, quick update on my life, I have now finished all my exams for this year which I'm very happy about! On Monday I start my two week work experience with Urban Outfitters which I'm nervous and excited about haha, and lastly on Sunday I went to Hackney Weekend, it was amazing, the main reason I went was to see Rihanna live, and it was epic! thanks so much for your lovely comment. looks like you got some great buys :) i've gone a bit crazy in the sales, lately. haha.